This one's not for everyone, I'll admit. But for the substantial portion of "white" America that claims that Jesus matters to them, it's worth pursuing. And given that a commitment to Jesus Christ as my Lord and Savior defines my life both personally and vocationally, I'm compelled to speak on it. I'm painfully aware that Christianity has been used to reinforce white identity, and to oppress "inferior races." But Christianity is not a "white" religion. Wherever it has been made to serve "whiteness," it has betrayed its essential nature. This is equally true whenever Christian faith serves any power other than Jesus. When it's been conflated with the power of the state, it has been warped into an instrument of state subjugation. When it has been turned to serve the power of mammon, it has become a tool in the hands of charlatans and self-interested bamboozlers. And when it's become a proxy for racial identity, it has betrayed the Holy Spirit, which shatters and tears down the existential boundaries between persons. None of these false Christs can survive, because none of them have any root in Jesus, or in the God he called Abba, or in the Spirit that sustains the faith. Christianity can only be legitimately expressed polyculturally, in a great blending of peoples and voices lifted up in response to a message of grace. Our faith is historically, currently, and theologically polycultural. 1) Christianity is historically polycultural. From the get-go, the message of Jesus transcended race and culture. Jesus was a Jew, who would have spoken Aramaic. He was not "white," not by any measure of that benighted category. His message was passed down orally in Aramaic and Hebrew and Greek, and then translated into koine Greek, which was the lingua franca of the sprawling, polycultural Roman empire. Though grounded in the sacred story of one culture, the message transcended culture. For over two thousand years, it has leapt across languages and cultures and races, because the teachings of Jesus do not rely on one particular cultural form or language for their legitimacy. They speak to a particular orientation of the human soul, and require a particular ethical and moral commitment. Efforts to constrain the message of the Gospel to a single language or culture fly in the face of the arc of the Christian story. Efforts to cram Jesus into "whiteness?" They're inherently absurd, so dissonant with the ground of the faith as to be insane. 2) Christianity is currently polycultural. "Whiteness" has no legitimate claim over a Gospel that leaps and engages with countless forms of grace, and that can sing harmonies in the languages of every people. It's one of the primary reasons that the most psychotic advocates of "white" power are forced to abandon the Christian message for fabricated pseudopagan constructs. Because right now, at this point in history, the message of Jesus speaks in a hundred languages and in the cultural idioms of dozens of discrete cultures. I've been to Orthodox services, with their incense and High Slavonic. I've sang and danced in urban storefronts, as an Exhorter belted out her percussive glossolalia. I've heard the shouts and guitars as I've walked past the nearby Iglesia Pentecostal, as the local immigrant community praises El Senor. The soft carillon of the nearby Methodist church still sings through the trees. I've prayed in the many voiced prayer of Korean congregations, lifting up the hopes to Hananim. I've sat through much of a day-long Nigerian Presbyterian service, the sanctuary bright with the colors of local garb, the air sweet with sweat and song. The message of Jesus may have been borne out into the world on the tides of empire, as it was to my Scots-Irish ancestors. But it subverts and challenges the human power that carries it, and when Powers recede away...as they always do...the Gospel remains. Where it remains, it strips away the trappings of power, and takes voice in the language and culture of the peoples who come to know it as their own. 3) Christianity is theologically polycultural. The teachings of the New Testament have always stood against the claims of "whiteness." 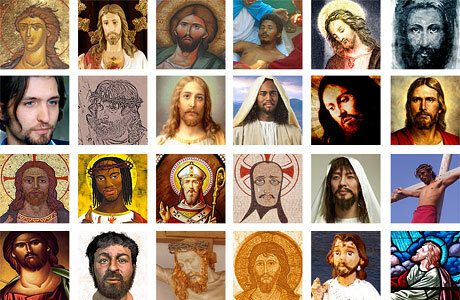 Jesus refused to limit his message to one particular racial group or cultural category. Jesus brought a message that shattered the power dynamics of his own society. He praised the hated Samaritans, offering them up as exemplars of what it meant to be a neighbor. He healed Romans and Syrians, gave comfort to tax collectors, and rescued prostitutes. That radical break from a nationalistic, ethnocentric faith was continued by the Apostle Paul, who saw a message that tore down all social and ethnic boundaries. As he put it in his letter to the church at Galatia, "There is no longer Jew or Greek, there is no longer slave or free, there is no longer male or female, for you are all one in Christ Jesus." There is no legitimate Christian theology that validates racism, or that perpetuates in God's work the idea of racial superiority. Have there been such efforts? Of course. But they're illegitimate, drawing their bleached-bone sepulchre falseness from the poison heart of human power dynamics. So if Christianity and "whiteness" are incompatible, how do "white" Christian folk move forward? We repent of our whiteness. I have no qualms with this, given that I'm a disciple of Jesus of Nazareth and repentance is at the heart of the Gospel. But repentance doesn't mean "sit there and be ashamed of yourself." Shame and repentance are not the same thing, a truth that the shame-culture troll-mobs of #twitter seem to miss completely. In the Bible, the word "repentance" comes from the Greek word metanoia. It's a complicated term, but it is best understood as meaning "after-knowing." It describes the actions you take and the life you live after coming into encounter with God's truth. It doesn't mean wallowing in shame. It doesn't mean wandering around forever in sackcloth and ashes. It means setting aside old ways, and taking up new ones. Repentance isn't a woeful thing. It's joyous liberation, like waking from a nightmare and breathing in the light of the morning. So for those who follow Jesus, and struggle with their whiteness: Repent. Set it aside. Find new and authentic ways of living into the Gospel.